Caceres, Spain is a hidden treasure of culinary delights. Watching storks come in for a landing here in Caceres feels a bit like rubbernecking. These large birds swoop out of the Mediterranean blue only to slam on their air brakes in an awkward battle against inertia. This emergency manoeuvre turns what was pure gliding elegance into an ungainly attempt to hit their mark, especially when their chosen landing pad is the impossibly slender spire atop one of the many Renaissance churches in this smallish city in southwestern Spain. I haven't seen one miss … yet. Although it's not for lack of opportunity, because here in this warren of palaces, it seems every spire and cornice comes with its own baby-delivering mascot. It's no wonder they have chosen this city to raise their young as it is surrounded by some of the most biologically diverse regions in the country. Spain is famous for food and this is where much of it is produced. Oils from organic olive groves, rice that makes up the paellas and even the cork that stops up the wine bottles are all sourced nearby. This ancient Roman garrison town has been doing food well for a long time and for good reason was named Spain's capital of gastronomy a few years ago. No small feat in a country where something as routine as a midafternoon snack such as tapas has been turned into an art form to be shared with friends. As my culinary guide, local chef Francis Refolio tells me at the beginning of our feasting stroll through the shady streets, "For the longest time we shipped out all of our produce that makes up the building blocks for many traditional Spanish dishes, only to have someone else put the finishing touches on them and get the glory. Now, it's our turn to shine." Caceres is one of six UNESCO World Heritage sites here in Extremadura, a landlocked region halfway between Madrid and Lisbon. It's a place that has long been overlooked by visitors, both domestic and foreign, in their rush to suffer reheated rice dishes served on the overcrowded coasts. This is the land where the black Iberian pig, integral to all Spanish cuisine, forages in the wild for acorns under holm oak trees among rare orchids, the aforementioned migrating birds and the odd fighting bull. These are the steppe-like meadows that burst into bloom in spring; it's the flowers and herbs that grow in them that lend a distinctive taste to some of the country's best sheep and goat cheeses. The aroma of roasting peppers often fills the air in fall, signalling another batch of smoked paprika, otherwise known as pimenton, a spice found in many Spanish dishes. And here you'll also find the vineyards that are producing some of Spain's best wines your friends have never heard of. All of these delights come to the table here in these winding lanes that look as if they belong on a period-piece film set in ancient times. The producers of Game of Thrones thought the same and the city and surrounding area are featured in the seventh season of the TV series. People come to Caceres for the food experience. "The cuisine here is based on two key concepts, sustainability and seasonality," says Refolio, who is also the head chef at el Corregidor, an intimate restaurant tucked away in a pedestrian street up the hill from the new Jewish quarter neighbourhood. Long before being expelled in 1492, a sizable Jewish population made these streets their home and their legacy can still be found in some of the dishes served today. Refolio is one of a new breed of chefs who are revealing the local Caceres cuisine to the world. In cooking workshops that he gives around the globe, from Quito to Frankfurt, he shows people how to get the most of the pimenton that they bought on holiday. "What we're doing is maintaining our traditional, sustainable methods of producing food and then using modern cooking techniques to give little updates to recipes our grandmothers have been cooking for generations." Something so simple rarely tasted this good. Sit down at a table in el Corregidor and you see this seasonality in the first dish of many from its gourmet sampling menu. The nearby town of Miajadas is one of Europe's largest producers of tomatoes and their first crop of the season is the star here. Mille-feuille is served on a bouquet of fresh lettuce topped with scampi lightly sautéed in white wine and some of the sweet pimenton. All of this is drizzled with olive oil pressed from tiny, emerald green olives, the same olives that I couldn't stop eating during a tapas break I took earlier on during my afternoon stroll. 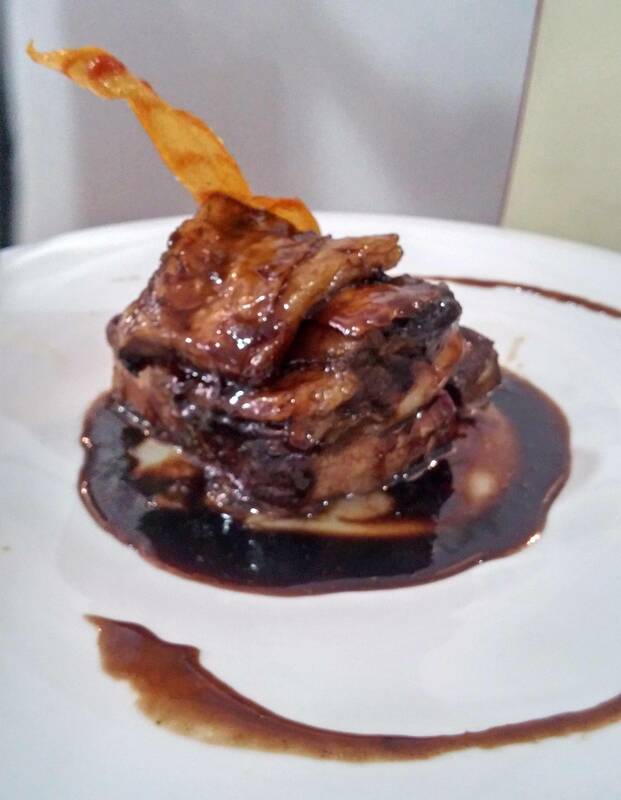 Another typical dish that has been passed down through the years and that you'll find served as tapas in most restaurants is prueba de cerdo, or literally a pork taster. Traditionally, when families made chorizo, they would set aside some of the mix and quickly grill it to see if it needed more salt or seasoning before hanging them to cure. Chef Refolio and his team have transposed this concept to the delicious lamb that also forages on the scrubby steppe surrounding the city and is then aptly paired with criadillas de la tierra, truffles of the desert, another delicacy found in these lands that can scorch during the summer months. Not only are local recipes handed down within the family but some have been kept secret in the monasteries that dot the region and are now, thankfully, being shared with the secular public. "These treasures have been served behind closed doors for too long," Refolio says with a smile. "It's time to bring them to light for all to enjoy." As a breather, next up was a monastic cod croquette that had long been enjoyed by the monks in the monastery of Alcantara and was now slathered in an emulsified sauce that served as the perfect pause before what was to come next. 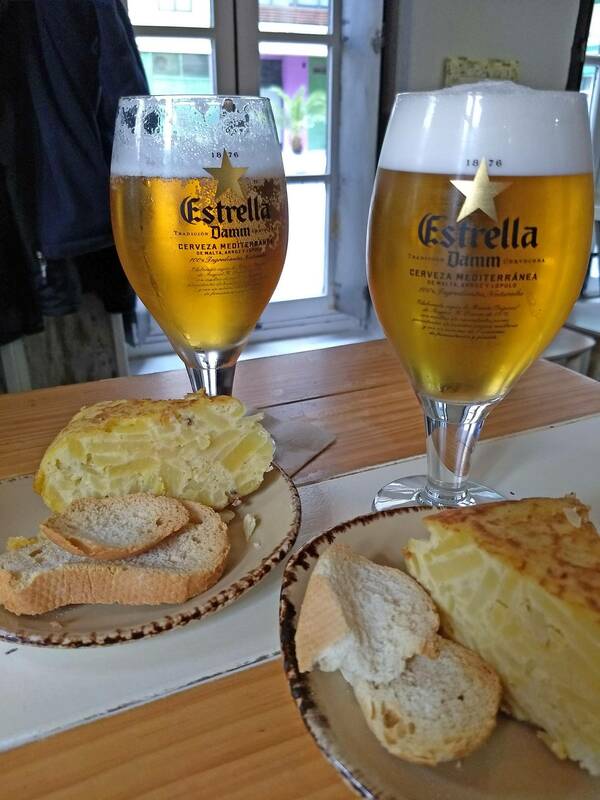 As this is the land of the Iberian pig, no meal would be complete without a sampling of the star local attraction. They say that everything on the hog is good and here the saying came true with a dish of Iberian pork cheek glazed in red wine and dark honey from the Hurdes mountain range just north of here. Modern cooking techniques have reduced the cooking times of these traditional recipes and the meat no longer needs to be slow-cooked and watched over for 12 hours. This was served with locally sourced wild mushrooms, amanita ponderosa, that can only be found during the spring. A table of various types of cheeses from the region rounded off the meal. As Refolio refilled my glass with the house red, he smiled and said, "No need to worry, have another glass. We make this wine ourselves, so there are no added sulfites. Tomorrow you'll be ready for another day of exploring." Wines such as Habla Del Silencio, Vina Puebla and Carabal Rasgo have been quietly winning awards around the world and can be found at almost every stop of our after-dinner stroll. And that's the added treat. The size of this smallish provincial capital is also digestible, making it easy to discover and see everything on foot. The compact centre of Caceres encourages wandering and this is something the locals take advantage of every day, both before and after dining. Around eight each evening, when the heat of the day has abated somewhat, the streets and squares of Caceres slowly fill with people of all ages strolling under the darting swallows that nest in the nooks and crannies of the Arab walls and towers. The evening promenade still exists here and even if you do get lost, it won't be for long. While Caceres may be a secret outside these walls, those who live here know it well. Follow the flow of people and sooner or later you'll find a familiar stork landing pad and if not, it's the perfect reason to duck into the next bar, try some tapas and ask for directions.